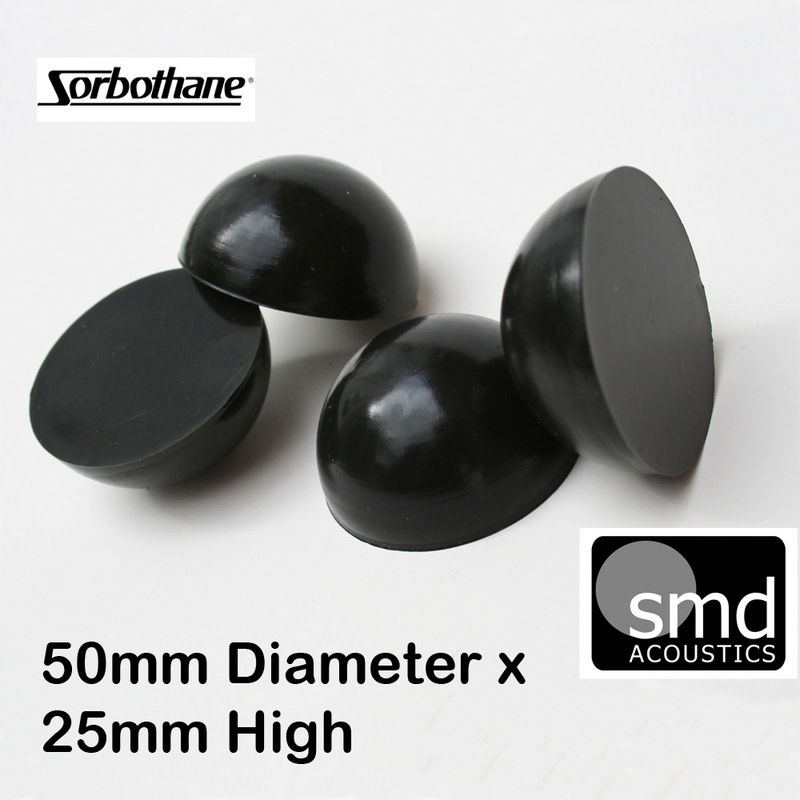 Genuine Sorbothane® Hemispheres manufactured in the UK exclusively for SMD Acoustics using their own bespoke tooling. Sorbothane® hemisphere Mounts provide a quick and extremely effective upgrade of audio equipment by isolating those unwanted vibrations and associated microphonic feedback, these bring huge benefits to equipment such as turntables, CD players and amplifiers by simply placing the unit to be isolated on top of the hemisphere, this can be either curved side up or down to suit. These hemispheres are rated at a 70 shore hardness which will provide effective support of up to 17 kgs per hemisphere or a maximum of 68 kgs per set of 4. Expect a 25 to 30% deflection when statically loaded. Size: 50mm Diameter x 25mm high.